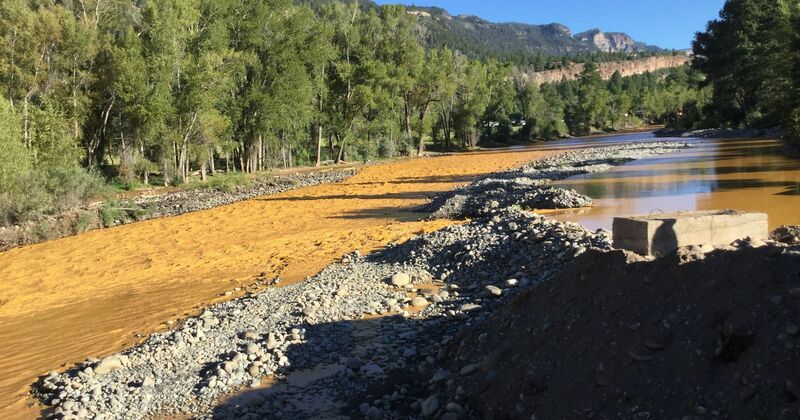 A recent mine wastewater spill caused the Animas River to turn a deep shade of orange. Toxic metals such as arsenic, lead, and copper contaminate the water. With the recent news of the Animas River toxic spill comes a clear reminder of the potential effects of building a mine at Oak Flat. A recent letter to the Editor in AZ Central eloquently points out the connection between Animas and Oak Flat. As the author put it, “I don’t trust any promises made by companies seeking new mining permits about how they will mitigate any damage, because the track record of mining is all to clear.” And it’s not just mining in general that we should be weary of, but Resolution Copper in particular. Their parent company, Rio Tinto, has owned and been a part of many mines that resulted in permanent environmental destruction and tragic loss of life. I don’t know about you, but that’s not a company I trust with public, sacred land. History is a wise teacher, if we will only stop to listen. We know the potential damage this copper mine could cause. We know that at the very least, it will leave behind a permanent crater on the surface of the earth, use billions of gallons of water, and create 1.5 billion tons of toxic tailings. That is the best case scenario, which in itself is a staggering fact. I shudder to think what could happen in the worst case. Resolution Copper looks at Oak Flat and sees one valuable resource that they will do anything to extract. The San Carlos Apache and their allies look at the land in its entirety, with the understanding that it is all important. 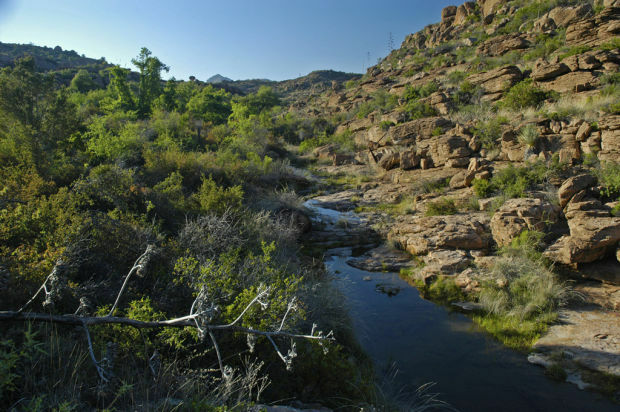 It’s not just the trees, the soil, the wildlife, or the water that makes Oak Flat special- it’s all of those coming together to create a thriving ecosystem that supports all life. But if we take away any of those elements, the environment will begin to collapse. We must realize this before it’s too late, before the problems now taking place at Animas come to Oak Flat. We can still stop this mine, if we all come together and make our voices heard. Keep up the fight! Gaan Canyon, as it currently flows. This clean source of freshwater could become polluted if the mine is built.